Steve Ueda will assume the role of president and CEO of Suisan Group, Inc., Suisan Company, Ltd. and Suisan Properties, Ltd. on January 16, announced Glenn Hashimoto, chair of the Suisan board, current president and CEO. Ueda will be Suisan’s eighth president. He is the grandson of Rex Matsuno, the former longtime president, CEO and chairman of the board of Suisan. The board, which includes members of the Matsuno family, carefully considered the succession plan over several years. Hashimoto was instrumental in recruiting Ueda to return from the mainland ten years ago to eventually assume Suisan leadership. Ueda will take over the 110-year-old food distribution business from Hashimoto, who will stay on as executive advisor. In his new role, Hashimoto will oversee Suisan’s business development and assist with executing the company’s strategic vision. Ueda has been with the family company since 2007 and held numerous positions including distributor sales representative, buyer, sales manager for the company’s retail market segment, and most recently, vice president of sales. Ueda, son of Esther Ueda, Rex Matsuno’s first daughter, is a Honolulu native and graduate of the University of Hawaii–Manoa in mechanical engineering. He earned a master’s degree in mechanical engineering from Massachusetts Institute of Technology and a master’s in business administration from University of California–Irvine. Prior to Suisan, Ueda worked throughout the United States and United Kingdom as a product and systems developer for companies such as Ford, Visteon and Altia Automotive. “Under Glenn’s leadership, Suisan adapted to the times while remaining competitive and continued the company philosophy of taking care of the customer. Glenn has been a great mentor. As Suisan celebrates its 110th anniversary this year, I am focused on keeping the company relevant and invested in the community. I am deeply humbled to continue the family legacy of leading Suisan,” Ueda said. 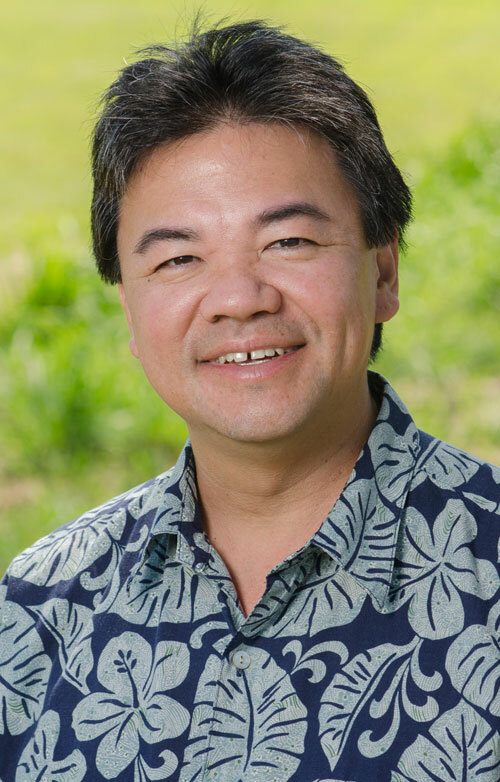 Ueda is second vice-president of the Japanese Chamber of Commerce & Industry of Hawaii, where he also chairs the economic development committee. He is a member of the Hawaii Island Chamber of Commerce and Hawaii Food Industry Association, and a community leader for the Blue Zones Project.